Many log homes are built in rural areas with private septic systems. One way to ensure a healthier septic drain field is to limit the amount of kitchen food waste that is discharged into it. If you skip the in-sink disposal and opt for recycling your kitchen scraps as compost, you’ll also save on septic design with a smaller size requirement. With home meal preparation, there are many leftovers and scraps that can be easily composted to provide fertilizer for gardens and landscaping. If your town or municipality has moved to a “Pay as You Throw” program with purchased town trash bags offsetting the cost for waste disposal, composting kitchen scraps can also reduce this cost. 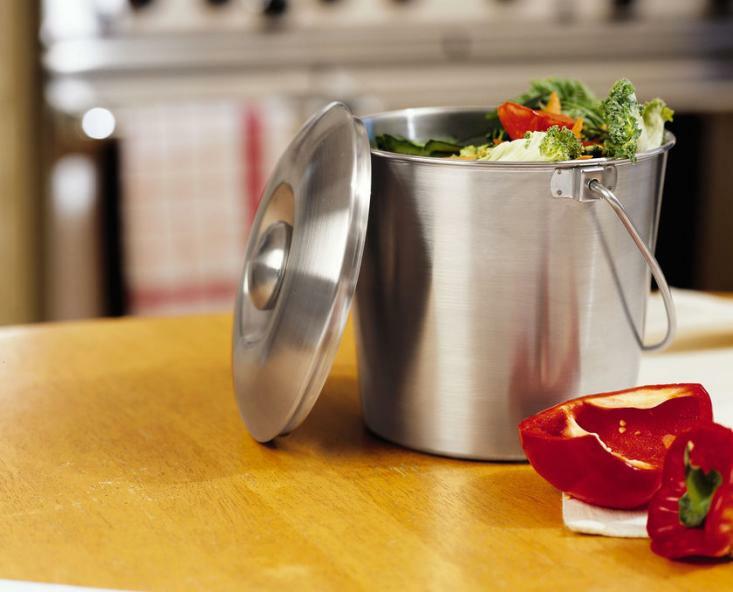 One common way to handle food scraps in the kitchen is with a compost pail. 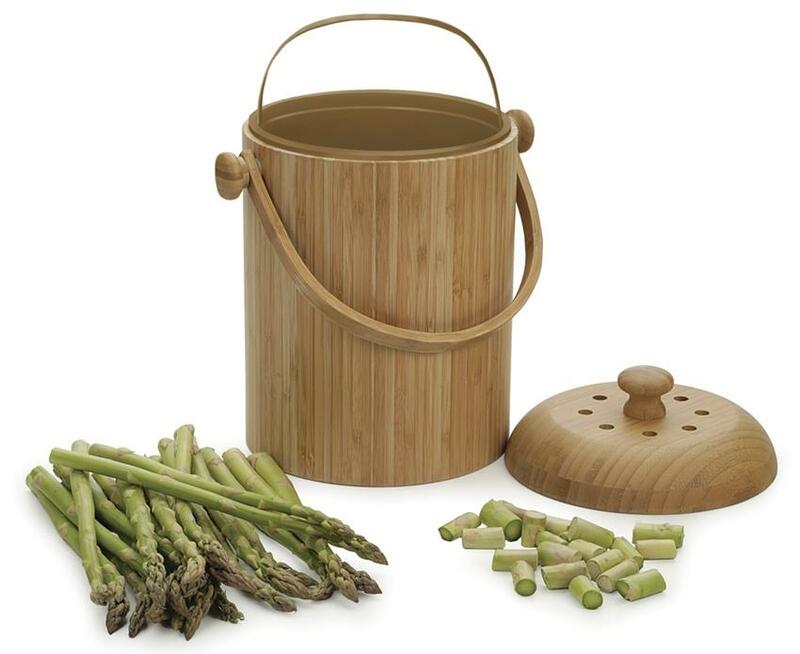 There are many pails available but features to look for include: tight-fitting lid, easy to clean, and sized to hold about a day or two of composted materials. The pail can reside on the counter or be located in an easily accessible spot, like under the sink. Food scraps that should be placed in the bin include: vegetable and fruit wastes; old baked goods; grains; coffee grounds, tea bags, filters; fruit or vegetable pulp from juicing; spices; egg shells (crush well); and corn cobs and husks. 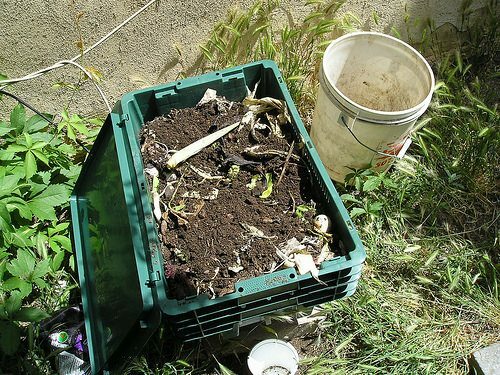 A larger, secondary composting bin should be started outdoors. Once the collected kitchen scraps are emptied into the larger outdoor bin, you’ll need to sprinkle peat moss or soil over the top to keep gnats and insects from becoming a nuisance. A 4.5-gallon container from the hardware store can provide enough space for the outdoor compost. One tip to keep gnats out is to line the lid with newspaper and replace as it becomes damp or deteriorated. The composted items will begin to break down in a few weeks, and may need turning or stirring as the compost amount increases. Several companies offer good inexpensive rotating compost bins to make the job easier. And your gardens and plants will benefit as well.